Just as young people in journalism school five years ago learned that Twitter was important to reporting, soon enough they might be learning how to film with a 360-degree camera. The same goes for documentary filmmakers. “As these younger journalists are coming out of J-school they’re all learning how to use every single way of telling and reporting stories,” says Rebecca Howard, the Times’ head of video. 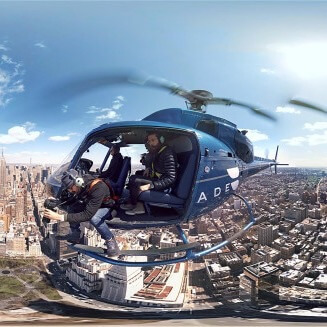 “They are coming out excited to get their hands on any way they can to tell stories and technologies to do it.” —How The NY Times Is Sparking the VR Journalism Revolution. 28 Apr 2015 in Cyberculture, Design, Journalism, Media, Social_Software, Technology.